Let us help design custom hospitality and in-room collateral that reflects your branding and guest communications goals. Turn mundane collateral into unique memory makers and translate your advertising efforts into revenues. Connect with your guests, engage and entice them to act upon your message. 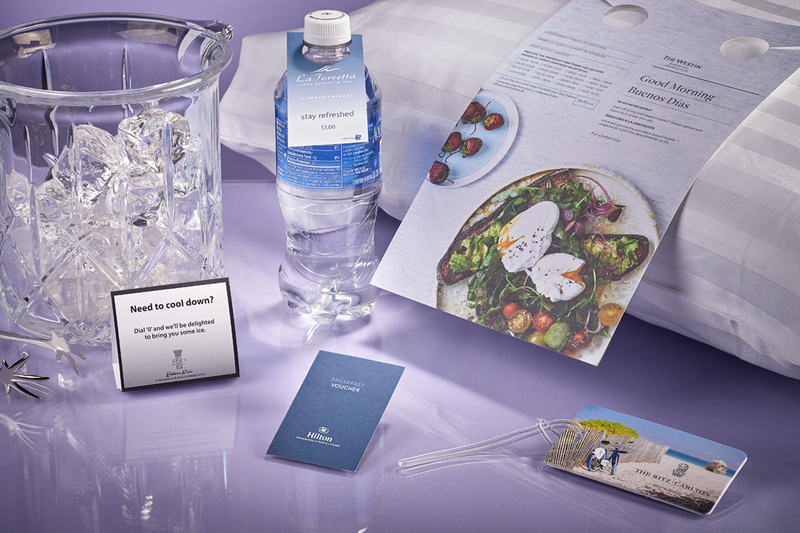 From in-room menus, tent cards and signage to hotel stationery and tags, creative collateral encourages guest response and boosts guest satisfaction.